The following two magazines are those that I have experience with. There are other magazines that serve middle and high school teachers, as well as a host of periodicals that serve amateur and professional artists. SchoolArts is a national art education magazine committed to promoting excellence, advocacy, and professional support for educators in the visual arts. 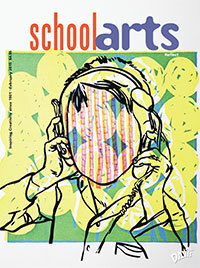 SchoolArts magazine provides lessons from early childhood through high school with each issue. There is also a convenient digital version available. Since 1932, Arts & Activities magazine has been helping those involved in teaching art to youngsters (K–12) throughout the United States and abroad. 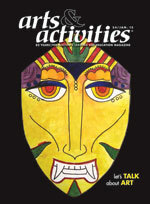 Each issue is filled with art activities, creative ideas, information about materials and supplies, techniques and methods that encourage students to explore and experiment with visual art and crafts.